July | 2007 | Chickens Don't Clap! At the head of a new band, Travis Morrison is set to release his follow-up to 2004’s controversially smeared Travistan in August… and I think most will agree that this upcoming album is a definite step up from his last (however you felt about it). 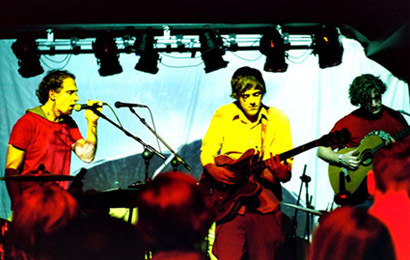 All Y’all has got stronger melodies, a clearer focus, and a number of tunes that welcomely recall T-Mo’s previous band. Just try and tell me you don’t get at least a little excited as soon as Morrison’s familiar voice graces the jazz-fusion build-up of opener “I’m Not Supposed to Like You (But)”. And then immediately following this whetting of appetites he hits you with the polished “As We Proceed”, which may be the standout track of the album. Well played. For me, Morrison still brings the funky, nerdy, eclectic power-pop like nobody else could. Sure, it’s not another Emergency & I, but what is? 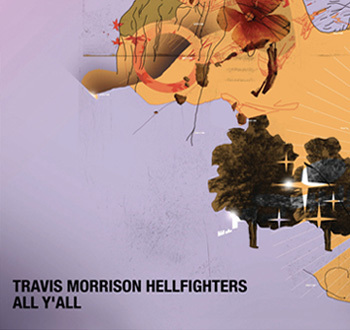 What’s also awesome is that you can stream the entire album over at Travis Morrison’s website! Check it out. Buy: All Y’all comes out August 21st, pre-order it now from Barsuk Records. Caribou‘s Andorra is somewhat distanced from the overall sound of Dan Snaith’s last effort, The Milk of Human Kindness, fully embracing the 60s-oriented psychedelic pop he’s often flirted with. Album opener “Melody Day” — with its tambourine, surging strings, flourishing flute, bittersweet melodies and breathy vocals — feels a bit like the Zombies, but far more grandiose. This track has been floating around the internets for a while now, but with the release of the video last week I was reminded of just how sweet this song is. The rest of the record is pretty great too; it begins with what is probably the most accessible and straightforward song on the album, yet by the end it’s a much more atmospheric and less structured affair. Buy: Andorra comes out August 21st, but you can pre-order it now from Insound. Watch: In the video, the swirling psychedelic-pop of “Melody Day” gets represented quite literally, littering landscape and persons alike in a projected twisting mass of stars and space. Perhaps not as impressive as the song itself, but fun nonetheless. 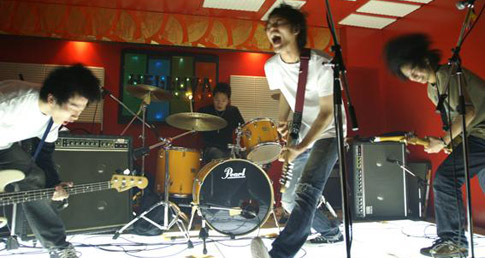 Pardon the short hiatus (I blame summer school and a certain bespectacled wizard)… this particular post is a bit overdue anyway, but I’ve finally gotten around to compiling the second installment of my continuous promotion of Japanese rock. 9mm Parabellum Bullet, who hail from Yokohama, are one of the better newcomers in the Japanese indie scene. 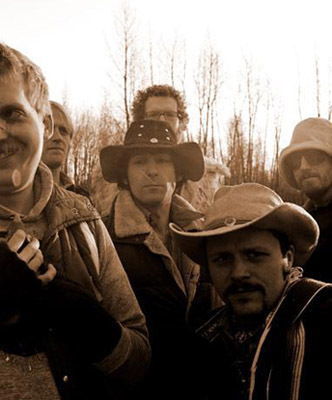 You’d figure these guys, a hook-heavy indie band, might be inappropriately named… and they probably would be if they didn’t churn through their catchy, punk-laden indie rock with the intensity of a fired bullet. So far they’ve just released a series of EPs (three), though the latest is really more of an expanded single — containing two new tracks, with a few rerecorded songs from the previous EPs tacked on (though some are better than the originals). Their first — and at seven tracks, their longest — release, Gjallarhorn, brims with youthful prowess and energy. A nearly immeasurable amount of catchy melodies are framed with a lot of heavily distorted guitars and, as a result, the most intense moments of the album are often the grittiest. While Gjallarhorn is probably their best work, Phantomime (the second EP) is also worth a listen. It basically follows the same formula, but adds a bit more serious riffage. I’d recommend checking out these samplings from each album and take advantage of being able to pick up the first two EPs on the cheap, which is somewhat of a rarity if you live outside Japan. Buy: Order Gjallarhorn from Audio Lunchbox. Buy: Order Phantomime from Audio Lunchbox. Buy: Order The World EP from CD Japan. This half decade has seen the rise of the mash-up in indie music, peaking perhaps last year with Girl Talk’s Night Ripper. But, The Hood Internet wants their piece of the game and are snatching it up like nobody’s business. The blogosphere has been having a love affair with these guys and with good reason — the sheer mass of output from the Hood Internet has been impressive in itself, but there’s also just so many winners among it all. Most of my favorites come from the golden-eared ABX, who compiled the fantastic “I’m a Flirt (R. Kelly) vs 7/4 (Shoreline) (Broken Social Scene)” mash-up, which I’d hold to be the shining achievement of the Hood Internet thus far. 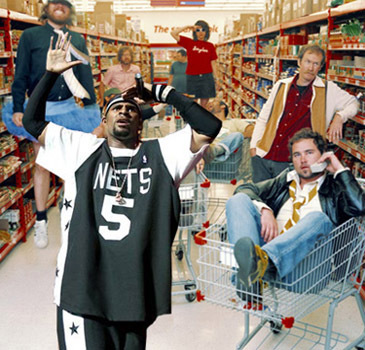 But f’real, everyone should do themselves a favor and spend some time at the Hood Internet website. They make all of their killer mash-ups available for free, along with a custom artwork for each… you can’t go wrong. Thanks to the faithful promotion of awesome Texas music by Chris over at Gorilla vs. Bear, I’ve been listening to a lot of Tree Wave. In one of his posts he mentioned that this Dallas duo have “drawn comparisons to My Bloody Valentine and the Postal Service”, and sure enough they kind of sound like a mixture of both. 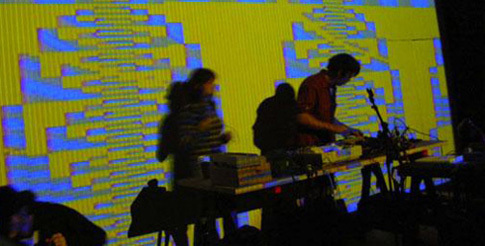 Paul Slocum’s waves of drones and blips provide the foundation of Tree Wave’s 8-bit electronica-pop, all of which is composed with highly unconventional instrumentation — including two Commodore 64’s, an Atari 2600, and a reprogrammed Epson LQ500 printer. Their sound is rounded out by Lauren Gray’s haunting, breathy vocals, which float just above Slocum’s elaborate layers. Buy: Order the Cabana EP (7 songs + 2 videos!) from AtariAge. I’m really enjoying “Sandy Says Zombies” by Bill Baird and Silent Sunset, who recently played with Tree Wave in Austin. Stream it over at their myspace. It’s already July 10th, but I’m still thinking about “Fireworks”. This new Animal Collective song is one of the standout tracks off an album seemingly made up completely of standout tracks. Bittersweet melodies cascade over intricate, layered rhythms and the resulting pop-centered surrealism is simply beautiful. Much like “Comfy in Nautica” or “Take Pills” from Panda Bear’s Person Pitch, “Fireworks” reflects the growing presence of the specter of Brian Wilson in their music. Yet, they appear to be mirroring him in more ways than one — while a more direct influence is discernible on the new album, they are also pushing pop music to its boundaries (and beyond), much like he did. For those who haven’t gotten their hands on it yet (or choose not to), Strawberry Jam is an immensely satisfying work of truly odd and expansive pop. It may find Animal Collective at their most accessible, but they don’t sacrifice any integrity or complexity to get there. Between Person Pitch and Strawberry Jam, Animal Collective seems to be claiming the year in music as its very own. I’d wager you’ll be seeing both albums on many a year-end list — they’ll certainly be on mine. Buy: You can’t pre-order Strawberry Jam just yet, but keep your eyes out for “Peacebone”, the first single, which is set to be released on August 21st. Was ist Das?! Es ist Blitzen Trapper! Sure, Blitzen Trapper has gotten its fair share of attention on the ol’ series of tubes, but I’m finally getting around to the new album and can definitely say that the ongoing recognition is justified. Wild Mountain Nation is a strong, eclectic work that runs the gamut of modern rock stylings while revealing Blitzen Trapper’s penchant for alt-country. In fact the title track, chock-full of guitars that teem with Midwestern drawls and twangs, feels like a song crafted by an updated version of The Band. Yet, the album also finds them delving into mired weirdo-rock (“Hot Tip/Tough Cub”), noisy psych-prog (“Woof & Warp of the Quiet Giant’s Hem”), and Malkmus-like indie rock (“The Green King Sings”). And it works… quite nicely. 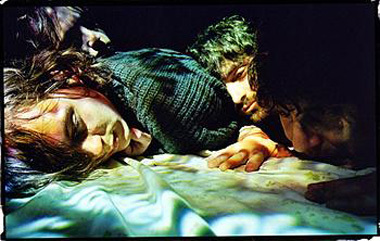 Buy: Order Wild Mountain Nation from Insound.